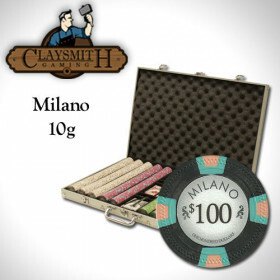 Get the best poker chip set on the block with this 500pc Milano 10 gram poker chip set. 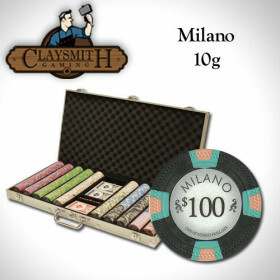 You get 500 top quality poker chips in an incredible hi gloss wooden storage case that features removable chip trays that you can take to the table. 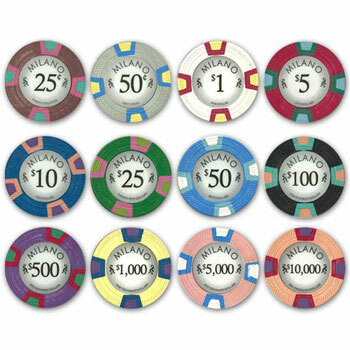 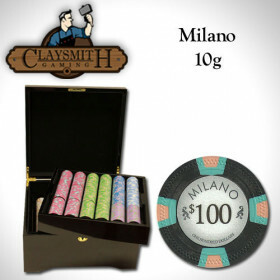 500 Claysmith Milano clay composite poker chips. 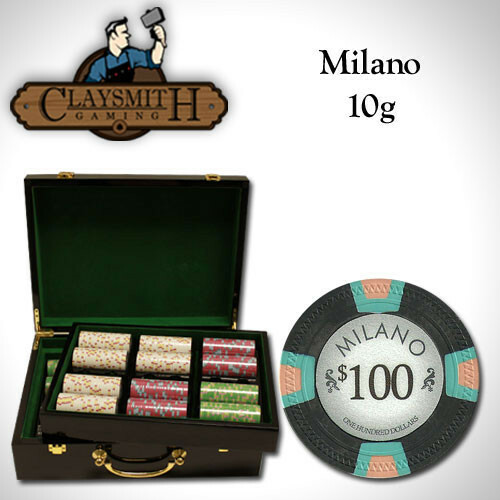 You also get 5 dice, 2 decks of playng cards and a free dealer button. 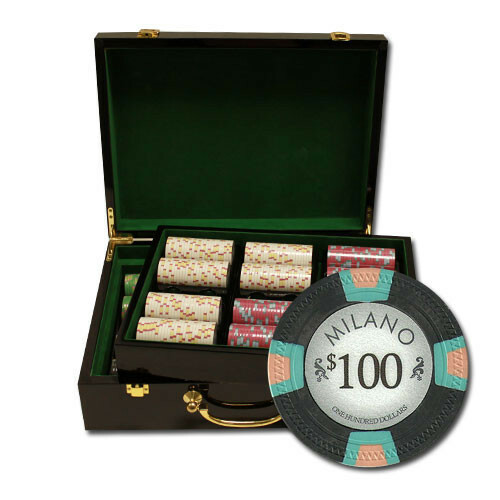 Step up to one of the best poker chip cases we carry! 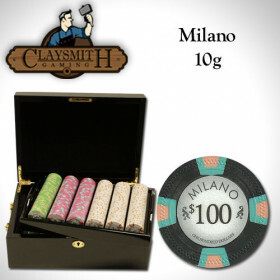 Protect your chip investment with a high quality, investment grade storage case that looks fantastic! 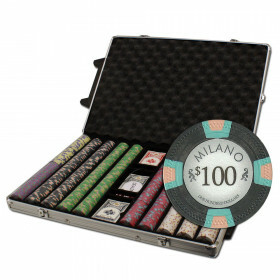 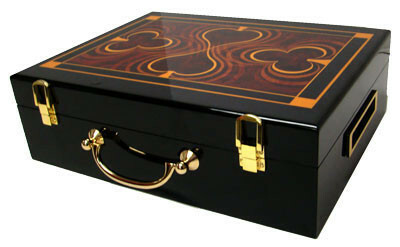 This case holds up to 500 poker chips and is lacquered to a high gloss black finish with spades and clubs on the cover. 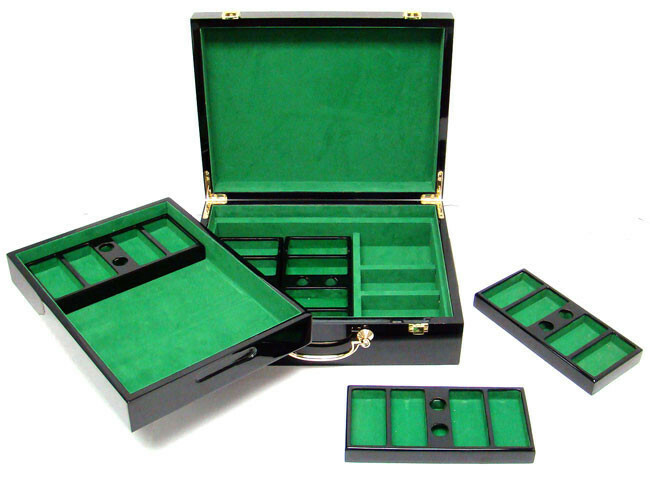 You won't be hiding this set away in the closet, you will be showing it proudly and inviting everyone to play. Inside the case, there is a removable tray that holds three separately removable wooden chip racks. 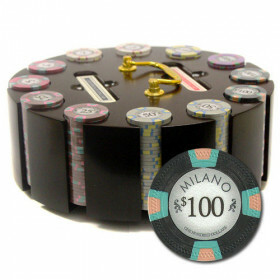 Each rack holds up to 100 poker chips. But wait, there are two more removable racks underneath the tray, giving you five removable wooden poker chip racks, holding up to 500 chips, to use at the table.Set the mood for a high quality (and high stakes?) 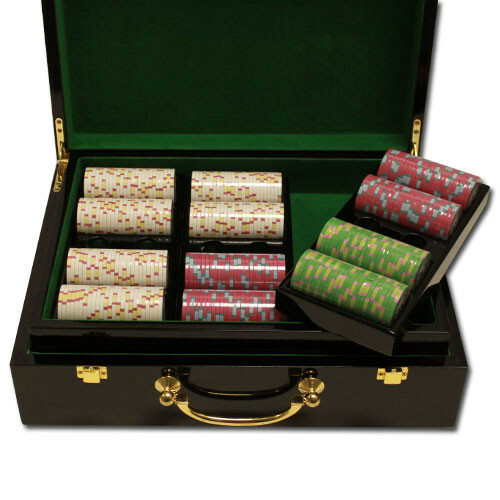 game with this exquisite poker set.